Known as the ‘Grand Old Man’ of Tasmanian football, William Leitch was arguably the state’s most influential football administrator during the first 50 years of the 20th Century. Born in 1863, William Leitch’s extensive career in football began as a player. He first appeared for the Railway Football Club as a 19-year old in 1882, and the following season he had the distinction of featuring in the first ever ‘North v South’ inter-league match. One of the finest players of his era, Leitch spent seven seasons with Railway before his work for the famous Sir Henry Jones took him south to the Huon region in 1889, where he continued to play and umpire football for several years. After he retired as a player, he turned his attention to administration, his first major role coming as chairman and secretary of the North Hobart Football Club in 1906. In this position he played a key role in the formation of the Tasmanian Football League in 1907, and was also a driving force in saving the game in Hobart from a perceived threat of extinction at a time when games were played at the unpopular Risdon ground. 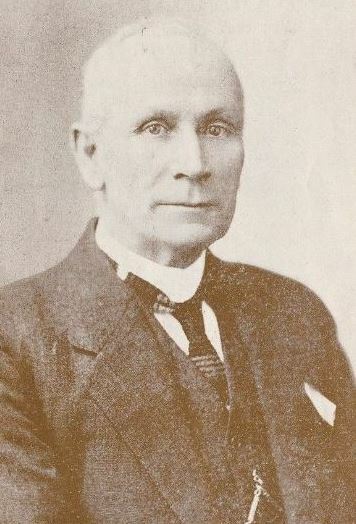 Leitch’s tireless efforts resulted in his appointment in 1912 as an independent delegate to the TFL committee, a role he would continue in more or less for the next 22 years. In 1914, Leitch was selected as manager of the Tasmanian team that played at the National Carnival in Sydney, and after football resumed following the conclusion of World War I he was elected as Tasmania’s delegate to the Australian National Football Council, the governing body for the game across the whole country at that time. In this role he was pivotal in the organisation of the 1924 National Carnival in Hobart, as well as the construction of the new ground at North Hobart which hosted the tournament, a venue which would in time become the spiritual home of Tasmanian football. His work with the Council eventually saw him elected to the vice-president position in 1929, a role he would play until his retirement in 1933. He resigned from his role on the TANFL committee the following year after more than 25 years of service to the game as administrator, service which was subsequently honoured with life membership of both the TANFL and the ANFC. Arguably his greatest honour however came in 1930, when the award presented to the best and fairest player in the TFL was renamed the William Leitch Medal in his honour. The award is still presented to this day, with many of the greatest players ever produced by Tasmania having been recipients of the award over the decades. Leitch’s legacy in the game continued with several of his sons, with Allan in particular enjoying a distinguished playing career with New Town and Carlton. Outside of football Leitch’s name was inextricably linked to that of the famous Sir Henry Jones, serving for more than 50 years as factory manager at Jones’ IXL Jam Factory in Hobart, where Leitch had worked since the age of 10. He ultimately spent 70 years employed at the factory, both before and after Jones’ purchase of it. In 1926, he was elected as a director of the board, a position he held until his death in 1943, aged 79.